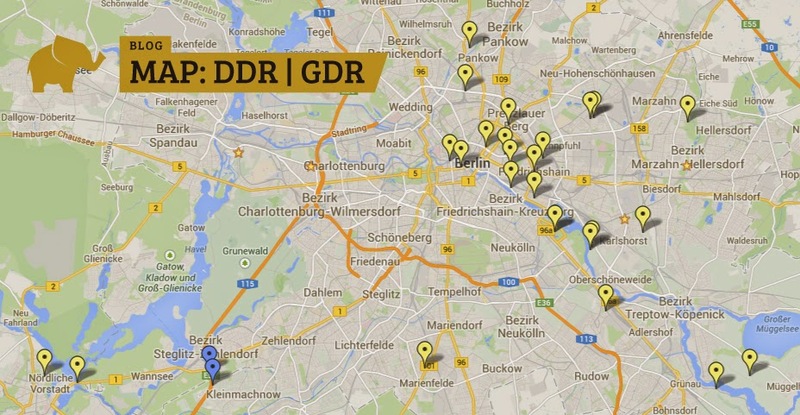 The idea is to have a thematic map to let you explore the places of the former DDR (GDR in English) and to go deep into the topic. The history of East Berlin can not be separated from the history of West Berlin (although there are still strong differences in town between the two former areas), but you can decide to explore those places to have a better idea of what was the DDR. You can start from the Mitte exploring the Tränenpalast - Palace of Tears, Neue Wache - New Guard House or the monumental Frankfurter Tor with the Stalinbau and then go further to Lichtenberg, which was the Stasiland with Prisons, the Stasi Museum and the Operativ-Technische Sektor (OTS). You can visit the free German-Russian Museum or you can go to a significant holiday place during the DDR time: Müggelturm (Köpenick) or go for a walk into the Majakowskiring where the high ranks of the party where living with their nice villas. There's a lot to explore for some days, have fun.